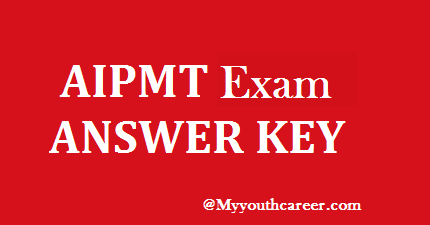 AIPMT Exam Answer key 2015 for students for analysis of there final marks. 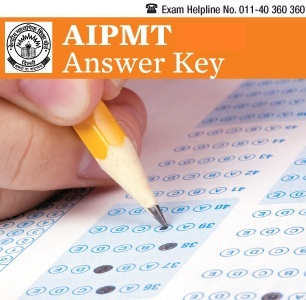 AIPMT Exam 2014 is just conducted on 3rd May 2015 all over the India and answer keys for AIPMT Exam are now out and appeared students can easily checkout there Marks by using these answer key and Solutions of AIPMT (All India Pre Medical Test) for which they are expecting to get in AIPMT the only Medical Exam left in our country. As I mentioned Only Medical exam in India, you might be aware that all other All India level Entrance exam for Students admission in MBBS and BDS courses has been called off even AFMC Admissions will be possible with the AIPMT Exam Marks. So, Students you can get precise Idea about marks you are going to score in this year’s AIPMT exam 2015 and start finding good or even Best institutes & Colleges where you can get admitted in the Counselling according to your Marks. AIPMT answer keys are basically having the answer of your question papers in the form of A, B , C or D options of the Objective Question paper provided to you. Here we provide Answer keys to all the students who are have just appeared in AIPMT Exam today(3rd May 2015). So students get these answer keys and calculate your marks which you can get in this exam. Students these Answer keys & Question paper solutions are from Top level Institutes of India, So you can your download it and match your options with it and start calculating your result much before the announcement of Result. AIPMT result 2015 are expected to be announced in the month of June 1st week 2015, but before you get your result you can easily precisely checkout your result marks by these Answer keys. So students do share your marks and your experience of AIPMT Exam 2015 here below.